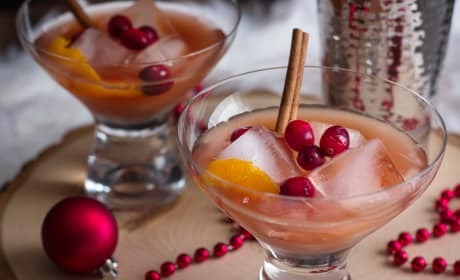 In the count down to Christmas, we're doing 12 days of festive holiday cocktails. Hooray! 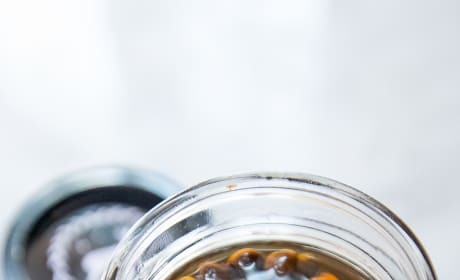 Homemade Chai Concentrate Recipe is just what you need for your chai concoction. No need to buy it at the store anymore! 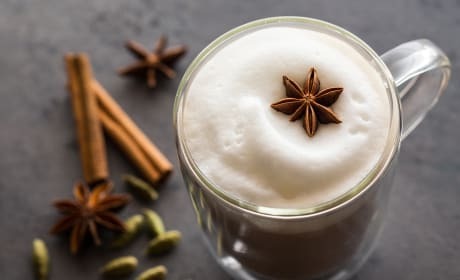 Spiked Chai Latte has all the spices and warmth you crave during the cold months. 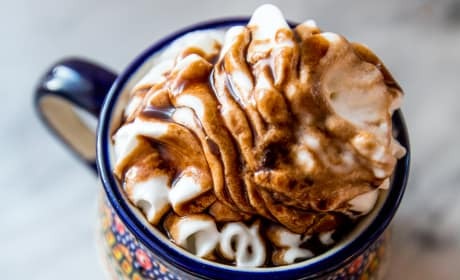 Kick it up with a little bourbon! 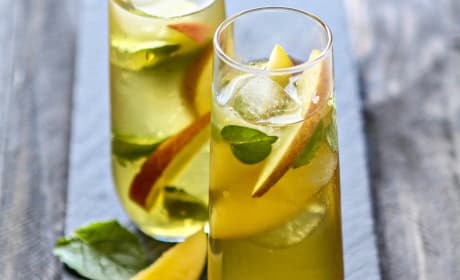 Green Tea Cocktail is the versatile cocktail you can serve at any party. 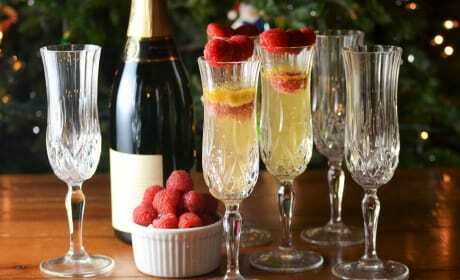 Champagne or sparkling cider--you choose! 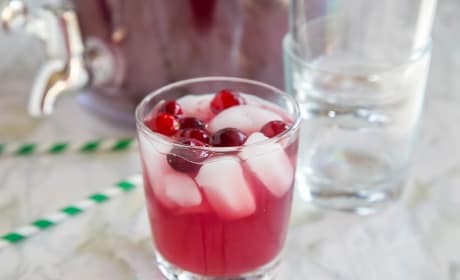 Cranberry Punch fills a holiday punch bowl with happiness! 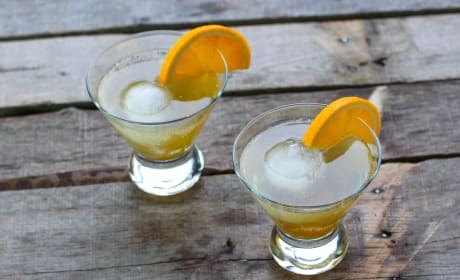 Make with or without alcohol. 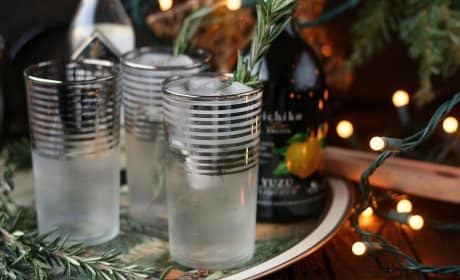 Rosemary Yuzu Gin Fizz evokes the scent of the woods this Christmas season. Full of rosemary and citrus flavors. 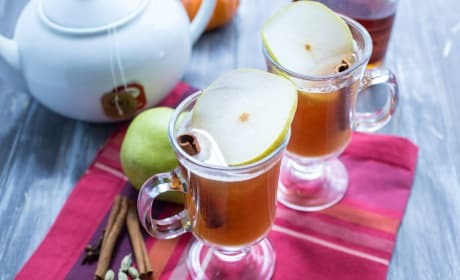 Hot Spiked Cider can stay warm in a slow cooker. 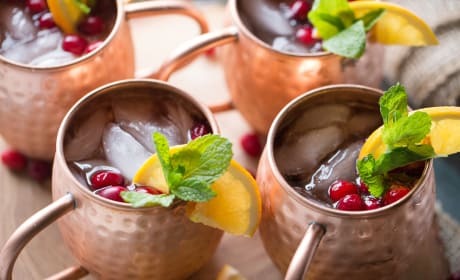 People can help themselves to the best drink at the party! 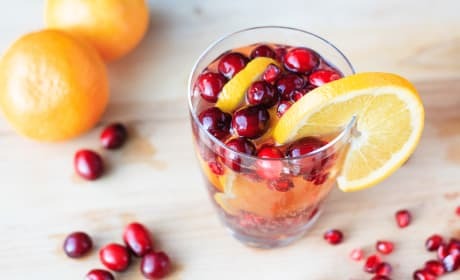 Cranberry Orange Moscow Mule is garnished with fresh cranberries and oranges. 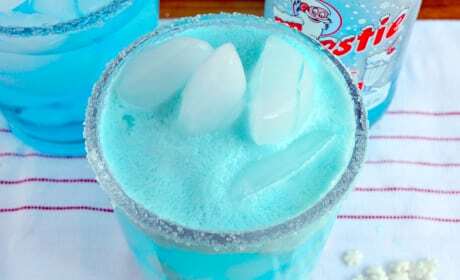 A refreshing and festive coctail. 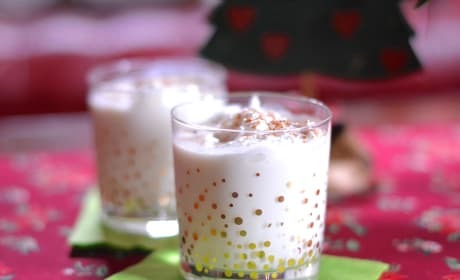 Gingerbread Eggnog is the adult cocktail that'll be the hit of your party. Full of spice and vigor! 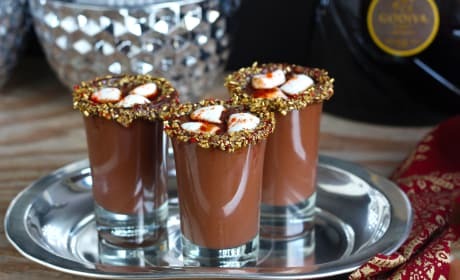 Mexican Hot Chocolate Shots have dressed up shot glasses for one beautiful cocktail. What a way to get the party started! 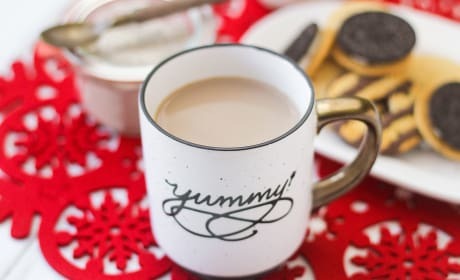 Rumchata Chai Latte is filled with the warmest spices of Winter. Enough for a crowd! 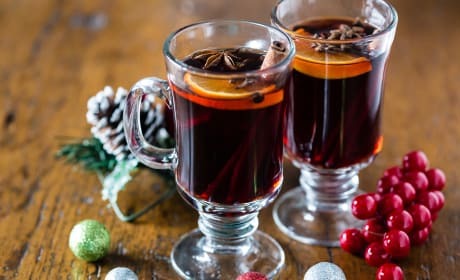 Spiced Mulled Wine, with its deep spices and dark wine, will give you that warmth you need in the cold weather. 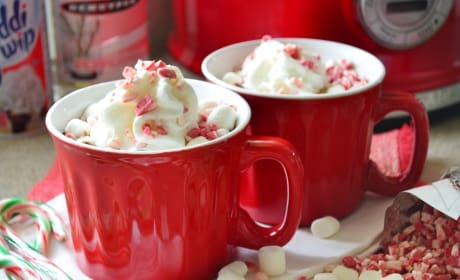 A perfect Christmas drink. 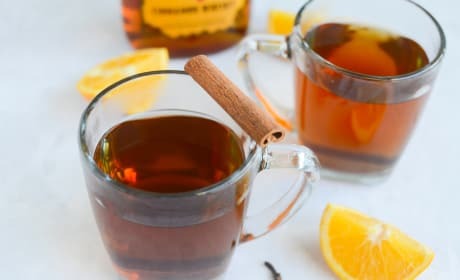 Pear Chai Toddy can bring the warmest of comfort on a chilly day. The pears combine beautifully with the winter spices. 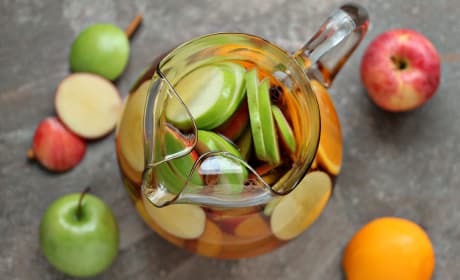 Easy Apple Sangria makes enough cocktails for a crowd. And how happy that crowd will be! 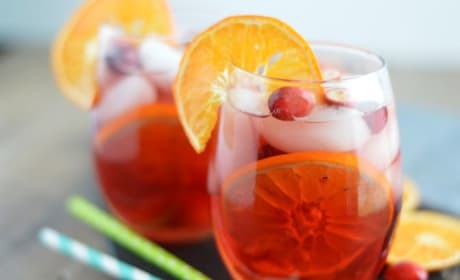 Cranberry Orange Sangria is just what you need to deal with the hustle and bustle of the holidays. Whip up a pitcher right now! 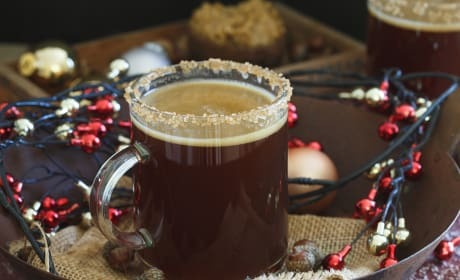 Gingerbread Hot Buttered Rum tastes like a warm gingerbread cookie. Only with a little kick! The countdown to Christmas is usually marked by gifts of all kinds. To us, the holidays are about celebrating as much as possible. Especially with libations! 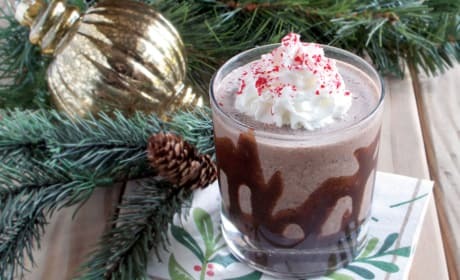 Our 12 Days of Cocktails countdown to Christmas gives you every kind of cocktail you could imagine, all with the purpose of celebrating the season in all its wonder.